I love to eat and drink, and I love out of the way places with charming ambiance, so I was especially delighted when Andrew took me to Barrio Food and Drink. 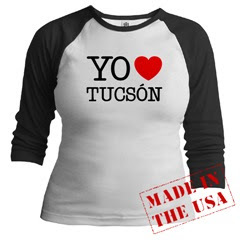 Since in a strange twist of fate, downtown is out of the way for most Tucsonans, Barrio strikes me as a hidden gem. I had the dried papaya and mango, grilled chicken reduced in a chipotle chardonnay cream tossed with linguine and finished with basil chiffonade. It was a little too sweet - which I think could easily be fixed by replacing the dried papaya and mango with fresh pieces - but otherwise I was in heaven. My rating: totally worth it! Here's a link to a Tucson Citizen interview with chef Jeff.